Flying a drone over beautiful scenery while on holiday is a fantastic way of capturing a different angle and making an unforgettable video. But flying a drone isn’t as easy as it looks. So before you launch your brand new toy over that waterfall, take heed of these top tips for flying a DJI Phantom – overwhelmingly the most popular model for serious amateurs – from Niki Needham, General Manager at camera and accessories store Camera Jungle. Most beginner pilots crash their drone a few times before they get good enough to fly over anything potentially dangerous, so make sure this happens at home over safe ground. Practice doing simple manoeuvres like taking off, flying in straight lines, clearing obstacles like trees and landing gently. Then progress to flying circles, and flying using only the first-person-view (FPV) video display on your phone. Make sure you get good enough to feel relaxed flying, as you don’t want to be learning on holiday. The DJI Phantom drones last for just over 20 minutes of flight on a full battery, so you don’t have time to loiter. Think carefully about your shots before you take off, but most of all take spare batteries. Two flight batteries is the absolute minimum, but many pilots carry three or four. Pros often carry as many as they can fit in their bag. Phantoms can handle a stiff breeze without a problem, but they don’t like water. Rain, sleet and snow are definite no-noes and should never be attempted, so do some research before you set out and take a backup camera for ground shots on rainy days. They may get boring, or seem complicated at first, but setting the compass and waiting for a GPS lock is essential before every flight, especially when you are travelling and launching from different locations. No-one wants to lose their precious Phantom to a fly-away so be patient on launch: the results will be worth it. Each country has different rules and regulations for where and when you can fly a drone. Since the whole concept is still fairly new these rules are changing all the time so do your research to avoid disappointment. Flying over crowds, near buildings, at public events or at famous tourist spots are all likely to attract the attention of authorities, but are these the shots you want? 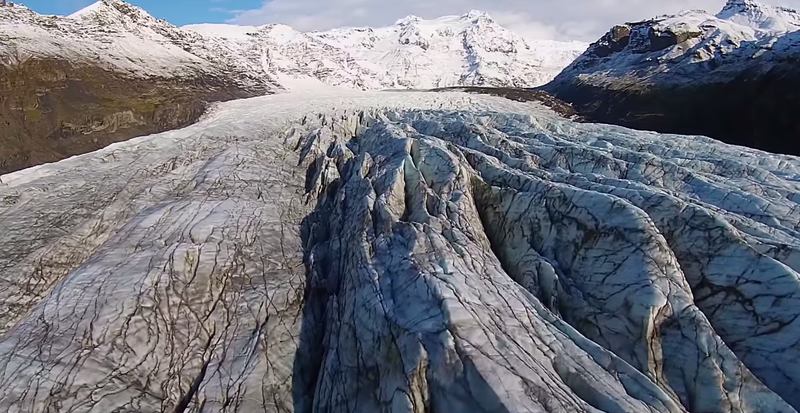 Many of the most popular drone videos on the internet are of dramatic, remote scenery, showing it from a new angle. Be creative and let your imagination run free. Anyone can fly straight over something interesting, but what other angles can you get to make your video unique? Get a variety of different shots and cut them together. Use the practice you did at home to fly accurately around a scene, fly overhead facing the camera straight down, or fly up and backwards to open out the view dramatically. Once you cut all these together your film’s going to really impress.